The Liganga iron ore and the Mchuchuma coal mining and power projects, worth USD3bn, will be implemented by the Tanzania China International Mineral Resources Ltd (TCIMRL) in 2016. Charles Mwijage, the Tanzanian Minister of Industry, Trade and Investment, made the announcement at a press conference held in Dodoma on 19th May 2016. He explained that these are the largest industrial projects in Tanzania for the past 50 years, whose completion is expected to stimulate the local economy. TCIMRL will invest USD 1.8bn at Liganga to establish an iron ore mine and iron and steel complex to produce 1m t per year of iron and steel products, vanadium pentoxide and titanium dioxide. The Mchuchuma project includes the construction of a 600MW coal-fired power station, of which 250MW will be used by the iron plant, while the remaining 350MW will feed the national grid. According to Minister Mwijage, the expected iron production will make Tanzania the third largest African producer of iron ore and generate 32,000 jobs. 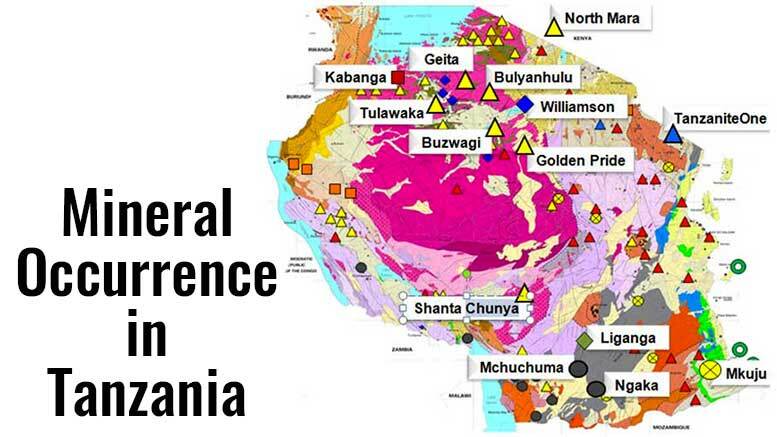 Iron ore reserves in Tanzania are located mainly in Liganga, Uluguru Mountains, Mbabala near Lake Tanganyika, Karema, Manyoro Gondite and Itewe. The Liganga iron ore mine holds the biggest iron resources in Tanzania with proven reserves of 126m t.
Coal reserves in Tanzania are estimated at 1.9bn t, 25% of which are proven and currently exploited in small scale at Kiwira Coal Mine in Mbeya Region and Tancoal Energy Limited Mine at Ngaka in Ruvuma Region.